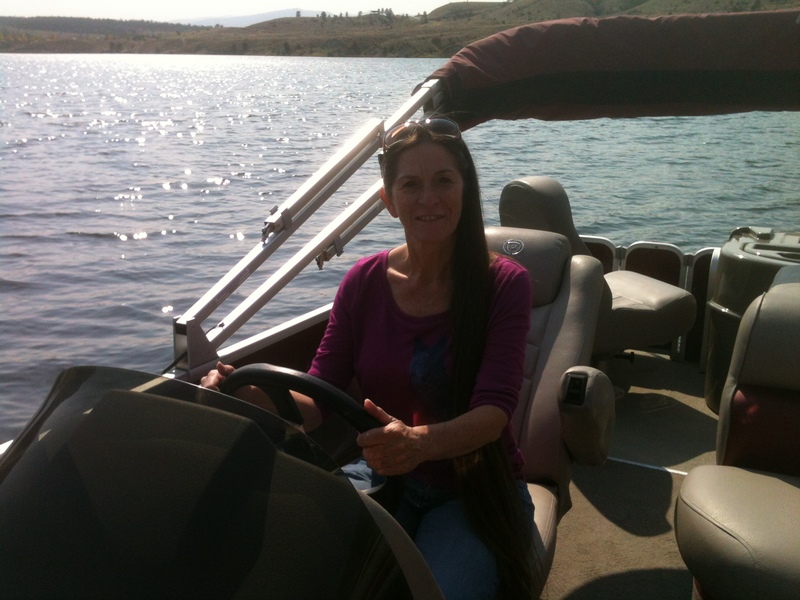 I just returned from a wonderful trip to Montana where I traveled to Kalispell, Great Falls, Missoula, Helena, and then to Couer d’Alene, Idaho. I had several book events in Kalispell. I spoke at a book club (always one of my favorite kind of events), a luncheon, and a Court Appointed Special Advocate’s (CASA) training class. I have such respect for the CASA program and the efforts made by their volunteers. It is a thankless job and always takes a great deal of time to do the job well. I was especially impressed by this group in Kalispell. In Couer d’Alene I met with a Head Start group. They were fantastic and made me feel so welcome. This is a group of women who work so hard every day with our children. Thank you to all our Head Start employees. But it wasn’t all work. I spent time with my two brothers, my nieces and nephews, and a few very special friends. We made lefsa (an old family tradition), played cards, barbequed, went boating, and had a great visit. It’s such a different lifestyle there, not at all like the hustle and bustle of southern California. All in all it was a fabulous trip. The Advocate’s Dilemma, book #4 in The Advocate Series, has it’s final look! For me, this is one of the most exciting parts of this process. When the cover is designed it seems to give the book life. My new book cover designer has been wonderful. So, if you are an author and are looking for someone easy to work with, reasonably priced, and good at what she does, please contact me and I’ll give you her info. 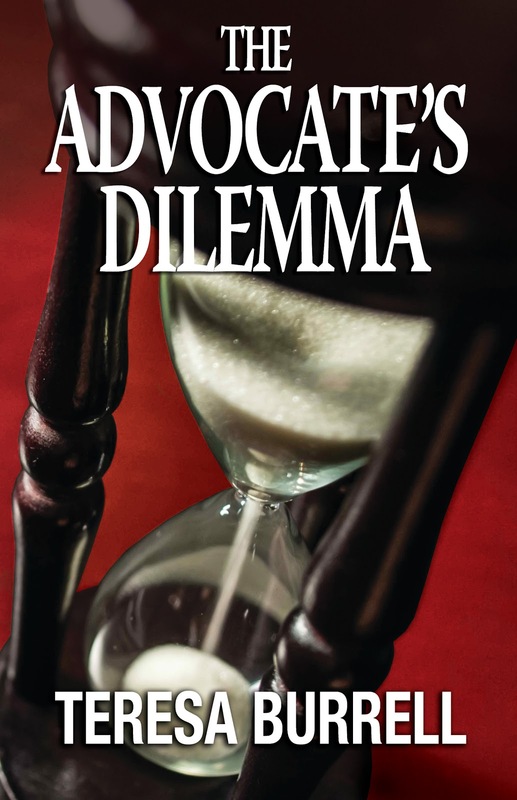 The fourth book in The Advocate Series, The Advocate’s Dilemma, will be released this summer and I’m still enthralled by the process, from start to finish. I don’t know how other authors feel, but here’s what it’s like for me. Then, I sit down at the computer and look at a blank page, sometimes with very little idea of what I’m going to do. Then I start to write. Every day (or nearly so) I get up and start writing again. Before long, I’m filling up pages and pages until one day I reach the end. It amazes me every time that I was able to write a whole book. The editing process is next. I really like this part. It’s when the novel really starts to take shape. My editor, Marilee Wood, is wonderful! Can you imagine living every day in fear? That’s the way the albinos in Tanzania have to live because their bodies are sought after for use in witchcraft. More than 60 albinos have been murdered in the last 4 years. They have been chopped up and their body parts have been sold to witch doctors who concoct charms. Others have survived but have been dismembered. Only a few of the cases have resulted in convictions. The news recently indicated that eight suspects were sentenced to death for some of these attacks. Many of these crimes have gone unsolved. And although the arrests that have been made have resulted in some lessening of attacks as recent as last month two teenagers were accosted and their body parts hacked off. Fifteen year old Kulwa’s arm was hacked off with a machete on 10/21/20ll at her home in Mbizi Village. Albinism is a genetically inherited condition. They lack pigmentation in their skin and their eyes. They are extremely vulnerable to the sun. People with this condition are generally visually impaired and most are legally blind. In North America and Europe the estimates are that about one in every 20,000 people have some form of Albinism, but in Africa and particularly Tanzania the numbers are about one in every 2,000. Approximately 150,000 albinos live in Tanzania and they all fear for their lives. The children have to attend special schools and are often given away as babies because their parents cannot protect them from this horrible evil that often results in dismemberment or death. A man named Peter Ash, from Langley, BC, formed a non-profit organization called Under the Same Sun to promote the well being of these poor people. He has done many wonderful things to help them such as forming schools for the children, providing a clinic to help with vision problems, developing public awareness, and advocating for people with albinism. I can’t imagine the torture these poor people have to endure. It’s bad enough that the sun is their enemy, but to be hunted like animals by other human beings is incomprehensible. This past weekend I had the wonderful opportunity of returning to two Barnes and Noble stores that I haven’t been to in a while, Fullerton and Long Beach Towne Center. 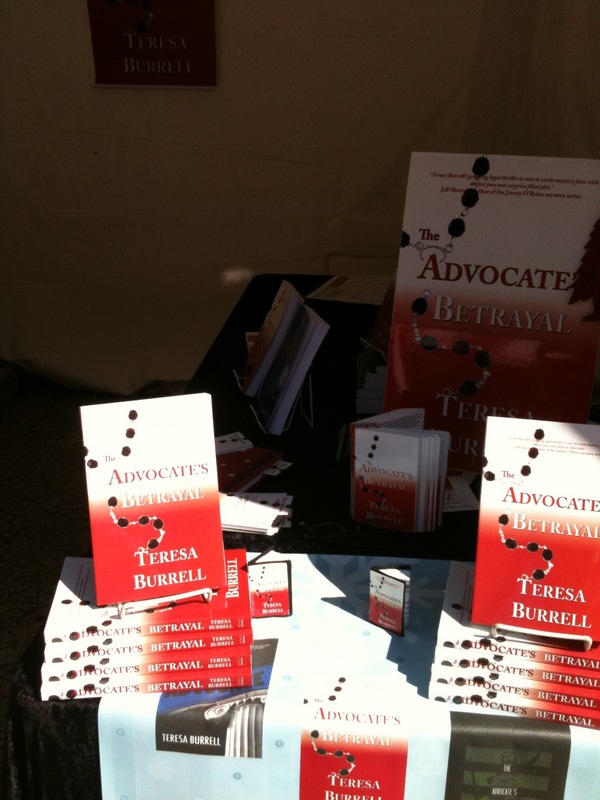 I have spent a lot of time in these stores in the past signing my first two books, and this past weekend The Advocate’s Conviction was featured there. It was great seeing the old staff and meeting new ones. But my favorite part was seeing my readers, many of who started with my first book and have continually returned to get the latest one. Nothing feels better to an author than to have a reader show up to purchase your book because they love your writing. Thanks, Long Beach and Fullerton readers…you made my weekend! Last week I was invited by the California Writers Club, High Desert Branch, (CWC) to speak to a group of inmates at the Federal Prison. It was quite an interesting experience. The hardest part was getting inside. First, you go inside the front door, fill out forms, sign in, and receive a stamp on your wrist. (This is after you have applied for a clearance and have been approved.) They take all your worldly possessions if you forgot to leave them in the car…phones, cash, etc. Then you go through the metal detector and into the next area. There your paperwork is pulled and checked. The paperwork for the two men from CWC, who had been there previously, had been misplaced. It took some time to clear that up, but as a result of it we were able to meet the warden of the prison and that was cool. The next door took us into a room that had another door to the outside. Only one of those doors can open at a time so the second door won’t open until the first is closed. There was a gadget there that checked our stamps. However, the stamps didn’t show up on the machine so we had to go back out and get re-stamped…there apparently wasn’t enough ink in the pad. We returned went through the second door and walked to a gate that entered onto the complex. By the time we arrived there it was noon and the inmates were walking from one side of the complex to the other to reach the yard. They were walking around the perimeter of the complex. We walked across and then we waited a few feet from them until they were all past us and then walked into the building where the class was being held. Twenty men awaited our words of wisdom. These were all inmates who were interested in writing, had good behavior records, and thus qualified for the class. I spoke to the group for about fifteen minutes and then they started to ask questions. We were there for nearly two hours before a guard came in and asked us to wrap it up. The men were very respectful. I have been to many a prison to meet with clients and I have always had to deal with the “looks” and the “mutterings” by inmates. There was none of that here. These men were so thirsty for knowledge. They asked incredible questions and gave great feedback, and even laughed at my jokes. They all have a story to tell and I can imagine many of them are quite interesting. They would love to be published. 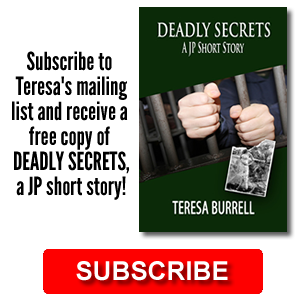 In fact, two of the men were already published authors before they were incarcerated. The difficult part for me was trying to give them some positive answers for some of their questions. It is hard enough to get published and promote a book from the outside and many of these men are “lifers.” I encouraged them to use their time to write as much as they can. Maybe one day I’ll read a novel or see a screenplay written by one of these men. No matter what, I’m sure the writing itself is very therapeutic. Sorry, no pictures were allowed. I spent three days at Barnes & Noble in Palm Desert last week.It was the first Meet & Greet I have done with the new book, The Advocate’s Conviction. I was thoroughly amazed at the number of readers from the desert that came in the store to purchase a copy of the third book. It was nice to hear all the wonderful things they had to say about the first two books and to see how excited they were to start the third. Thank you, Desert Fans, you made my day. “Is she an attorney?” I asked. They bought two books, and we were all laughing about it when they left. A while later the older woman came back to my table to apologize one more time. I said to her, “I thought you came back to insult me again.” Of course I explained to her that I wasn’t insulted at all. She gave me a big hug. I love those hugs. 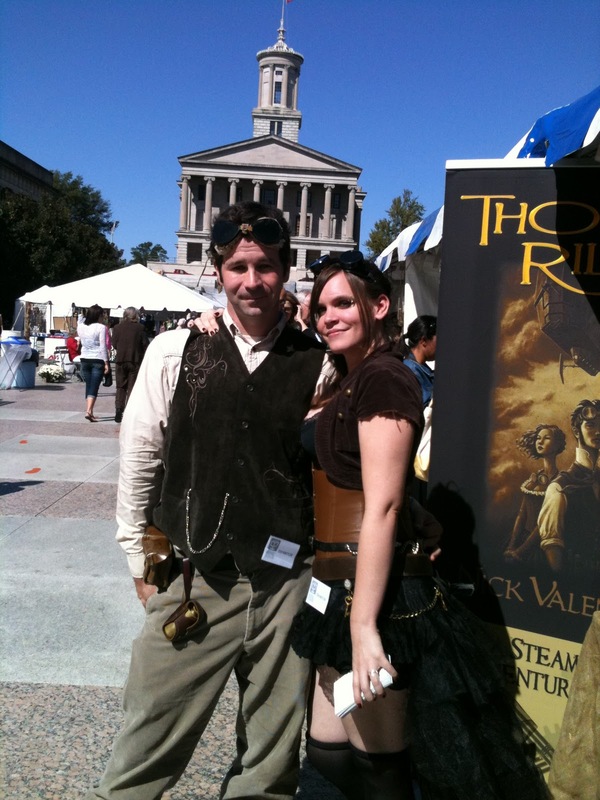 A couple of weeks ago I had the good fortune to attend the Southern Festival of Books in Nashville, TN. 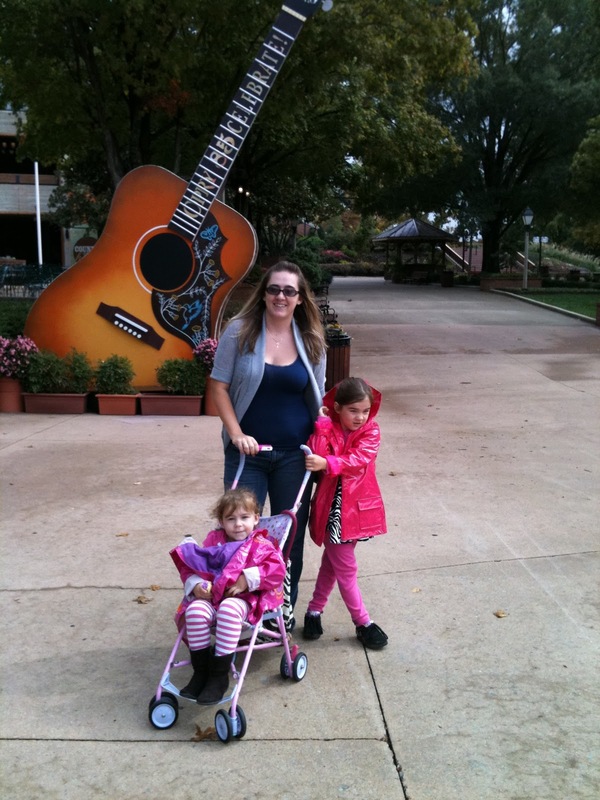 It was my first trip to the festival and my second to Nashville, but the city had changed quite a bit since my last visit some thirty-plus years ago. 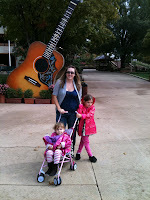 My schedule didn’t allow for a lot of sightseeing except for a quick trip to see the exterior of the Grand Ole Opry.. I hope to return next year and do a little more. The festival was small but busy. I met a lot of wonderful people and gained a lot of new readers. I shared a booth with two Steampunk authors, Nick Valentino and Elizabeth Darvill both dressed in their incredible costumes. 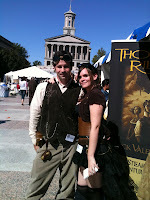 If you haven’t read any Steampunk you really ought to try it. It’s a fun genre to read. You travel to Victorian times with lots of gadgets operating on steam and clockwork. Nick writes adventure novels. Check out Thomas Riley. Be forewarned if you read Elizabeth’s books. Some of them put a little extra steam in the Steampunk. She writes paranormal romance novels among other things. The best part of the trip for me, however, was visiting with my niece, Adrienne, her husband, Dustin, and their two girls, Meredith and Amelia. They moved their in May from southern California and I sure do miss them,,,but I’ll be back.